Before 1900 Odilon Redon🎨 made drawings almost exclusively in black and white; afterward he began to focus on paintings and pastels in sensuous color. 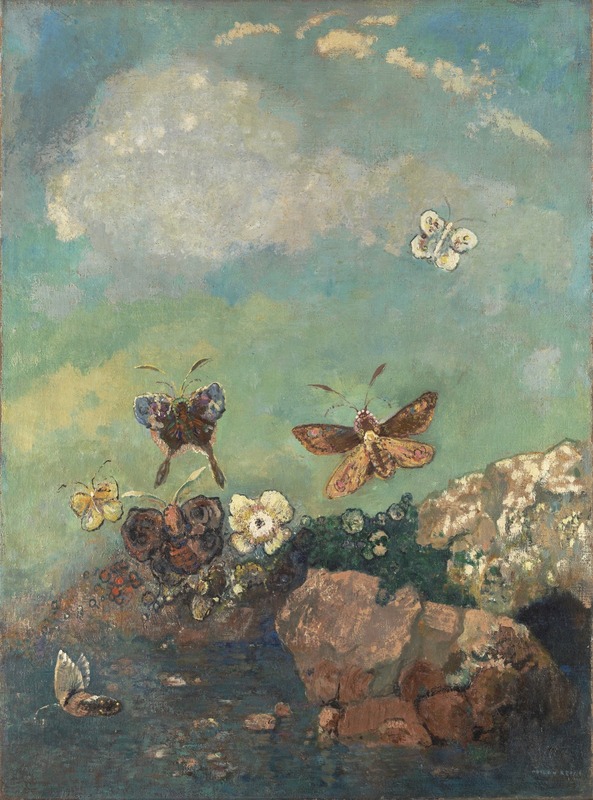 Many of his late works in color took nature’s small beauties, such as butterflies, seashells and flowers, as objects of contemplation and presented them with a fantastic intensity. Redon was a Symbolist🎨; he believed that art could transcend the everyday and open onto a marvelous world of the mind. “Painting consists in using a special sense, an innate sense for composing a beautiful substance.